Fabulous 5m Bell Tent with zipped in groundsheet, airbeds, duvets, rugs, towels, lanterns, mirror and furniture. 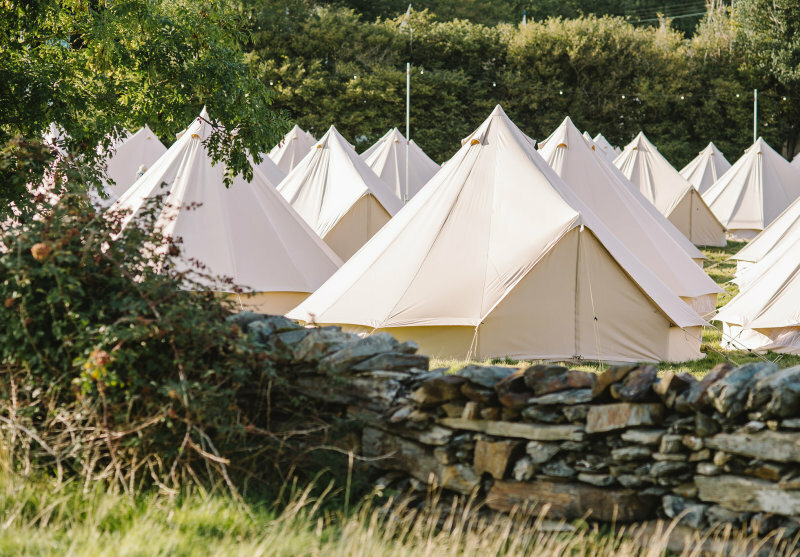 Classic Bell Tents are available for 2, 3 or 4 people with any combination of double or single airbeds. 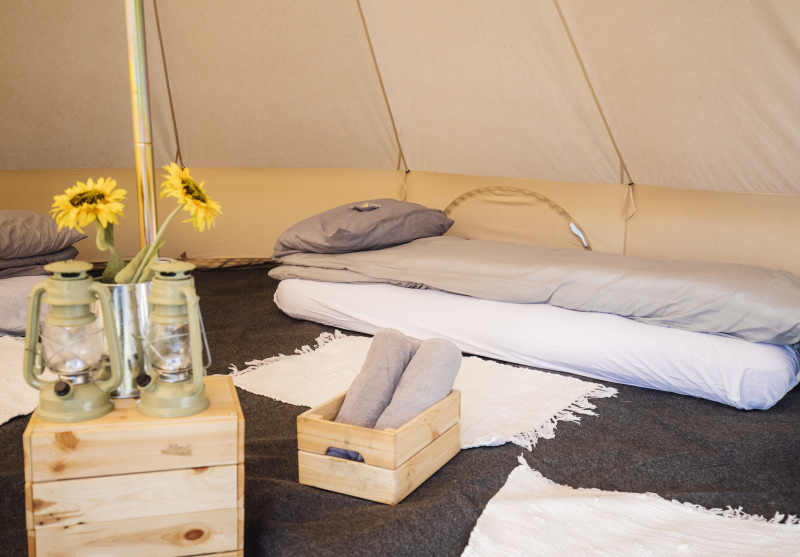 All Classic Bell Tents are supplied with duvets, fitted sheets, pillows and towels. Furniture includes airbeds, a wooden table, bed side tables and rugs. Lanterns, a mirror, and a jug with flowers adds a splash of colour. 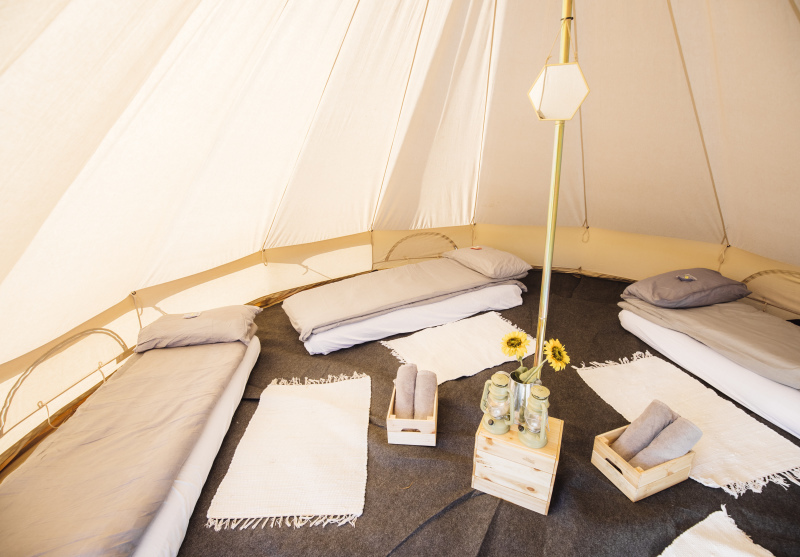 All Classic Bell Tents are fitted with a zipped in groundsheet and carpet.